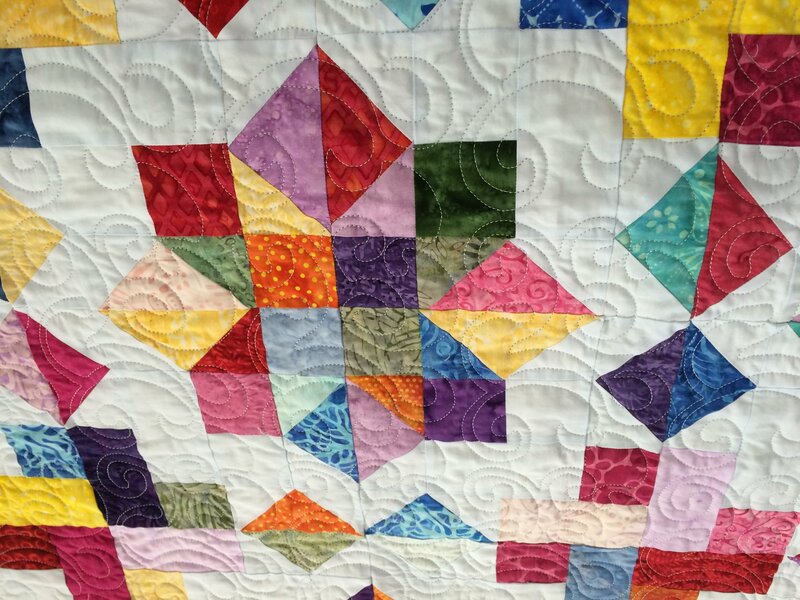 We are happy to provide the beautiful quilted finishing touches to your pieced quilts! Here are a few answers to popular questions. What do I need to bring? We like to have a consultation with each quilter before beginning work on your quilt. Bring us your completed quilt top and quilt back. 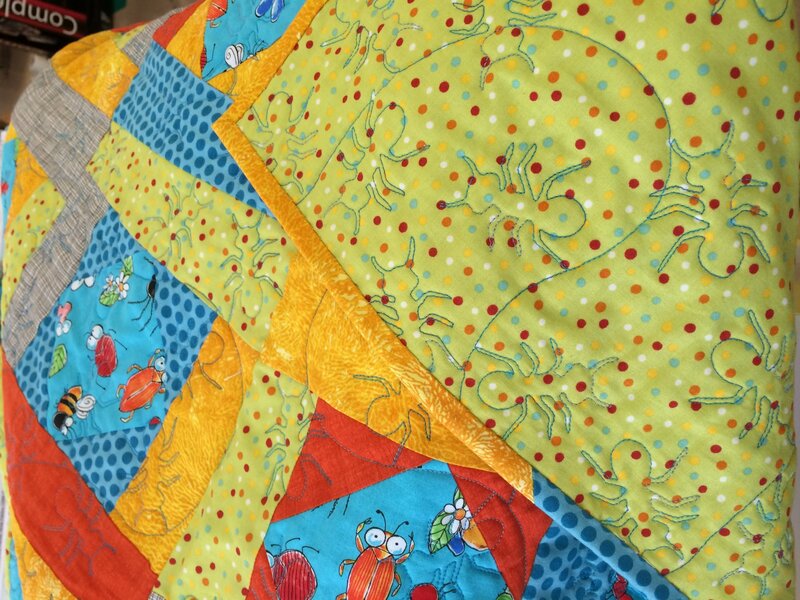 Your quilt back may be pieced or whole and it needs to be at least 6" wider and longer than your quilt top in order for us to fully quilt from edge to edge. What kind of batting should I bring? None-- we supply the Warm & Natural batting by the yard that works best for machine quilting. 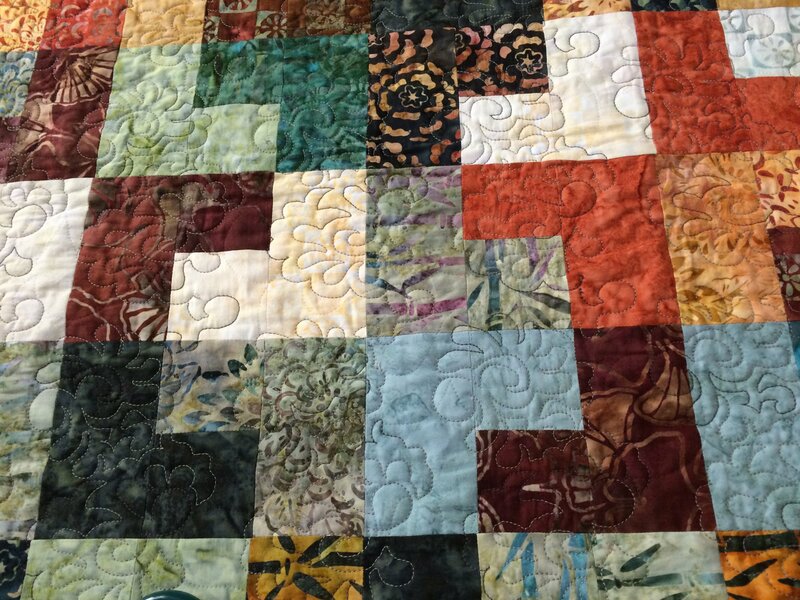 How do I choose a quilting design? You finally finished your quilt top, and here come all the options-- sometimes this can be overwhelming! Relax, we will walk you through each method. We can do an all-over stipple (meandering, continual line), a border-to-border programmed design, or medallion block-by-block designs. 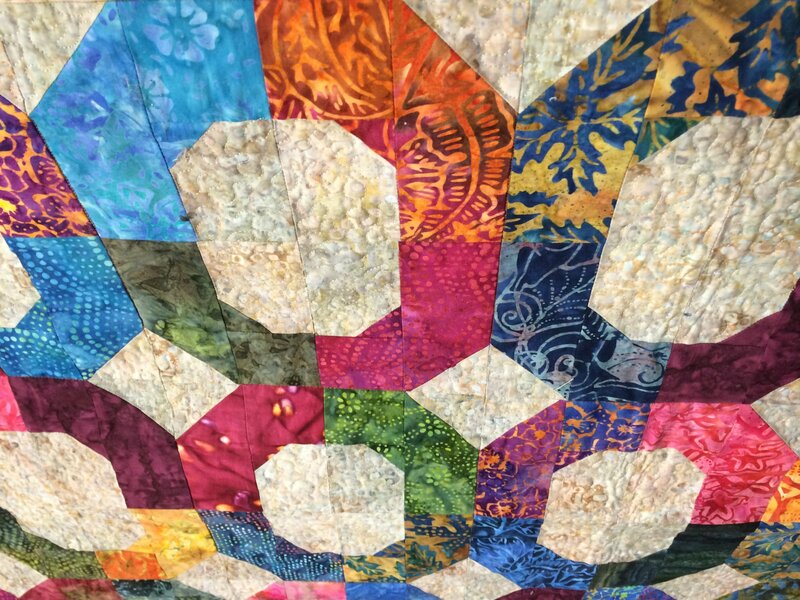 We have a binder of designs for you to browse, and with the help of our pro quilters, you'll have a beautifully enhanced quilt within a day or two! Do your research and come with an idea for your quilt... it is your quilt after all. We're just here to help you wrap it up. What is the maximum size I can have quilted? Our machine works well on quilts up to 108" wide! Will you square off my quilt for me? 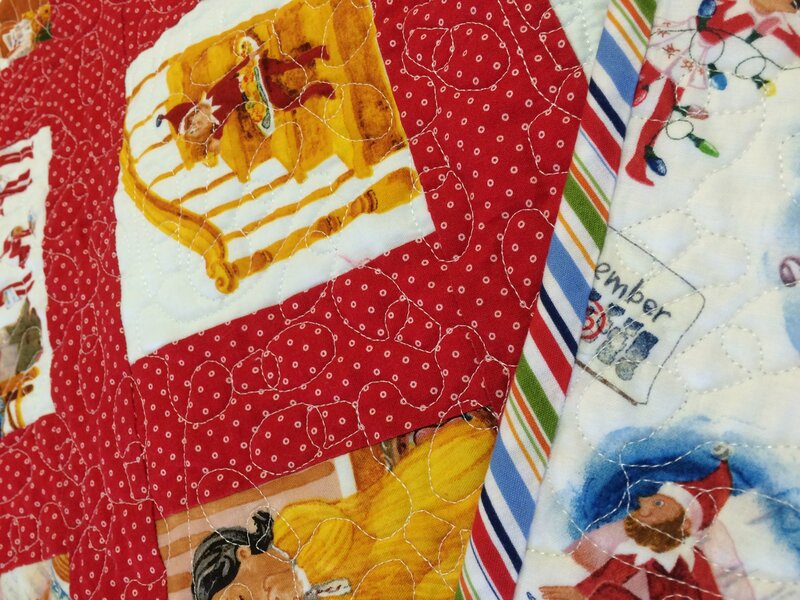 For a small fee, we will even up the edges of your quilt after quilting. What about binding? We do not bind quilts. 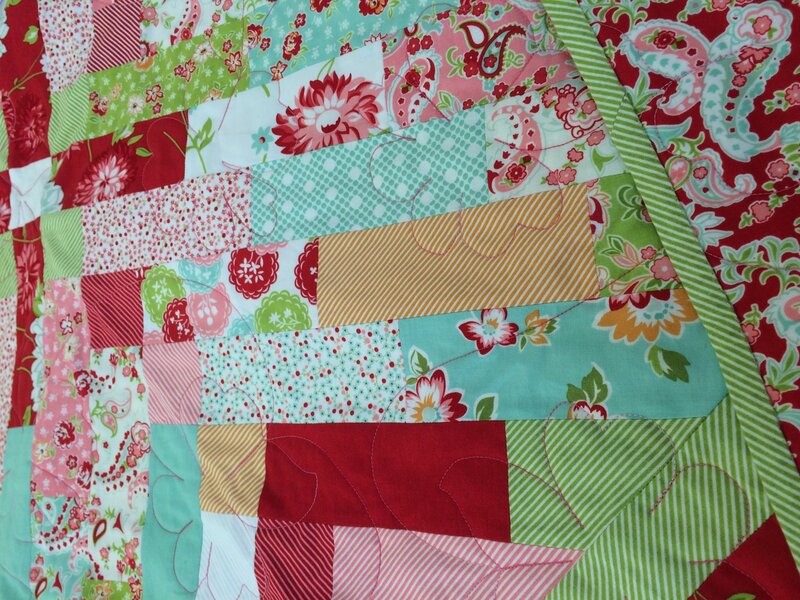 When your quilt leaves here, it is quilted, trimmed, and ready for the binding method of your choice. Bring your quilt in today! We'll gladly give you a quote in-store and look forward to helping you finish off those big projects!